About 1.62 billion people in the world are suffering from anaemia according to WHO report. In Africa alone, about 570 million of the entire 1.2 billion population are anaemic. In my country Ghana, anaemia has about 54.3 prevalence rate among pregnant women. This figures became so real to me in 2016, when I almost lost my wife (who is now my co-founder) due to acute anaemia condition. During her clinical periods, all the gynaecologists we've come across recommended Turkey Berry fruit to be included in her meals. When we did that daily, she recovered quickly after 2 weeks. As a Chemist and my co-founder a Food Scientist by profession, we decided to embark on a chemical investigation on the Turkey Berry Fruit to investigate the active ingredients in the plant. After two (2) good years of successful laboratory research, we have identified a great deal of nutritional values in the berries responsible for boosting blood levels, enhancing immune system functioning as well as detoxification values. This is when the Achiever Foods Limited was born. With my Co-founder's background in industrial food production coupled with mine chemistry background, we have developed iron and fibre rich food products from the Turkey Berry Fruits that can restore lost haemoglobin in anaemic patients in few weeks. 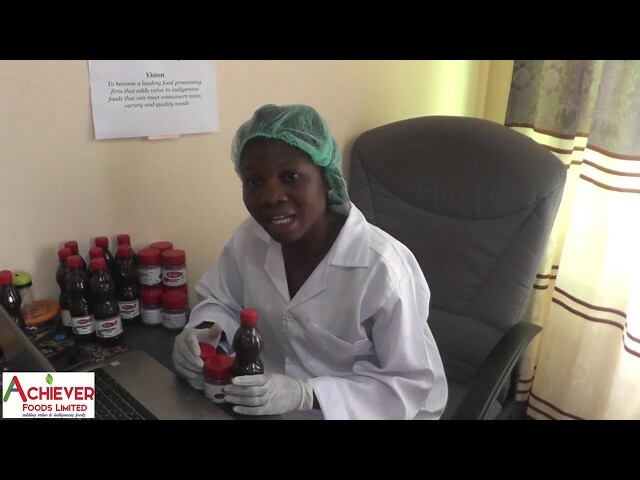 Therefore this business has a target of contributing to the numerous effort being made by major health players to reduce the mortality rate of anaemia to the lowest minimum. Secondly, we are in the process of developing an anaemia mobile app called Daliha Mobile App which will be used to promote the aim of the business in creating awareness on how to prevent anaemia attacks. The prototype is ready and still going through testing now. The Daliha Mobile App will focus on educating people on the causes, symptoms, diagnosis, treatment and preventive measure of anaemia as well as generate revenue for the business. Our company is therefore a food technology business that processes the indigenous Turkey Berry fruits into readymade food products in forms of Teas, Juices and Powders to meet consumers’ taste, health and quality needs. The products are purely organic and full of iron, fibre and antioxidants. They can be served at any time at the convenience of consumers. They have no side effects and there are no preservatives or artificial colours. We used food technology principles approved by the Ghana Standard Authority and the appropriate Standard Operation Procedures to process our foods. Since June, 2018 until now, we have gained traction increasingly from our distributors due to the effectiveness and the organic nature of the products. Our main distribution centers are the hospitals, pharmacies, shopping malls and grocery stores. Others include the supermarkets and some private institutions.